We provide contemporary technique dance instruction every Tuesday, Thursday and Friday. Join us for the 1.5 hour dance classes, led by one of the collective’s four artists or a guest instructor. We also partner with the Brian Webb Dance Company to provide Master Classes for local dance practitioners to learn from artists featured in BWDC’s 2018/19 Season. No Registration required. It’s first come, first served. Previous class packs carry over, class passes do not expire! If you find the GWDC Class rates inaccessible, please reach out to us to work out a more affordable rate. Get 11 GWDC dance classes for the price of 10! If you’re a Canadian Alliance of Dance Artists (CADA) member, when you buy a 10-class pack you’ll get one class absolutely free.  (11205 107 Ave in Edmonton) The Ruth Carse Centre for Dance has a ramp at the front entrance and the Muriel Taylor Studio is approximately 1″ above the floor of the lobby.